Sovereignty is about authority. In usage it is about a people or a nation or a state being able to control affairs independeant of outside influence. In this globalized world there are no sovereign states, if you really think about it. What we have is the appearance of sovereignty even in the best of cases; if you think for example that the USA has it, then delve into the history of the US Federal Reserve and of course its present day operation. The truth is that if one digs deep enough ‘people’ as a collective have little say. It’s ‘some people’ who have authority or who exercise it on behalf of other people not necessarily identifiable as being part of those whose sovereignty is being discussed. So what we have are degrees of sovereignty or states of sovereignty compromised in various ways. It’s a word that gets quite a bit of carry from time to time. We had the usurpation of sovereignty and the usurpers returning it without really letting go, putting in place a system, grooming loyal agents of sovereignty-retention and creating a culture of servility. They gave us democracy, a neat anesthetic that moreover had all the trappings of sovereignty without much substance. And they fixed us well and good with the Bretton Woods institutions. We had alignment, non-alignment and re-alignment. We had J.R. Jayewardene opening doors ‘to the robber barons’ and later genuflecting before Indian hegemony, agreeing to (in Rajiv Gandhi’s words) ‘the beginning of the Bhutanization of Sri Lanka.’ The sovereignty-usurpers were invited and kept by successive governments. The words are fine. 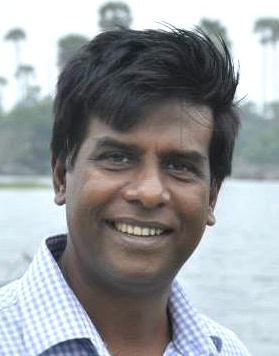 For example, three years ago, commenting on the US-authored UNHRC resolution which Sri Lanka co-sponsored, Rajitha Senaratne said ‘The US initiated resolution clearly recognizes sovereignty, independence, unity and territorial integrity of Sri Lanka.’ In effect it was a shameless agreement to force Sri Lankans to inhabit the so-called international community’s version of Sri Lanka’s reality. When a country funds politicians of another country it is a problem, especially if there are benefits to the funding nation. China is not the first. We have it from John Kerry, former US Secretary of State, that the United States gave money to campaigns that sought to overthrow the government. That’s not a first for the United States of course, but let’s not get into all that. It’s wrong. Period. Here’s the key question: is access of the Navy to Hambantota the only issue pertaining to sovereignty-loss? Would Hashim or anyone else in the Yahapalana Government care to detail the contents of the draft ‘Colombo International Financial City Law’? We are talking about 239 hectares leased for almost 200 years (99+99). Prime Minister Ranil Wickremasinghe who is also the Minister of National Policies and Economic Affairs is to be in charge of regulating the ‘financial hub’ that the government envisages the Colombo Port City to become. We are told that there’s an ‘Operations Office’ regulating the legal framework and the operations methodology to be pursued in bringing about the International Financial City. Nothing of the legal framework has been made public so far. 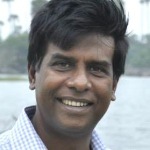 Now what if the entire agreement will come under British law with disputes to be resolved in British courts, outside the purview of Sri Lanka’s judicial system? What if there are clauses that require relevant lawyers, judges and professionals to be British qualified? Let’s ask some more questions. Is it true that the US based multinational law firm Baker & McKenzie was hired to draft the laws, quite in contradiction of accepted procedure and indeed in violation of the constitution? Let us note here that Baker & McKenzie works lockstep with the US State Department and has been working with China to forge partnership agreements in Europe. Is it true that the Chinese company paid them US $ 2.3 million for their services? Did this company operate out of Temple Trees and Cinnamon Grand Hotel in violation of the Rules of Supreme Court and in contravention of Article 169 (foreign lawyers cannot be employed)? Is it true that a local company funded by Chinese and US interests is advising the Cabinet Committee on Economic Development on these matters and that among the directors is a former Attorney General, former Chairman of BoI and a former Secretary to the Treasury who is also a senior advisor to the Prime Minister? What would that tell us about the levels at which treachery is being perpetrated? What would that tell us about the nature of the threat at hand? Perhaps those in the know would share with the general public all relevant details so that we can come to informed conclusions regarding the true state of our sovereignty. We do need to know because if, for example, this Law sanctions the annexing of any territory in Sri Lanka in a context where the same terms and laws referred to above are applicable, then Rajapaksa ‘coughing up a port’ is a mere tickle in comparison. Hypothetically, China could under this law annex the Trincomalee Harbor and trade operating right to India in return for, say, concessions in the South China seas, for example India’s drilling operations off the coast of Vietnam. Of course the President would have to ratify such a move, but then again since Independence we’ve had many leaders who were weak, corrupt, unimaginative and happily servile. We can reasonably expect that in the next 200 years there will be many leaders who through purchase or arm-twisting will sign relevant document to facilitate such annexing. For those who are puzzled by the China-US connection in all this, let’s offer some ‘bullet points’. Barrack Obama touching on foreign policy in his inauguration speech clearly stated that the USA and China will not be on a collision course any longer. A top level team headed by Hillary Clinton hammered out the details of what was called ‘The pivot to China’ with Chinese counterparts. Part of the agreement was that China would control of the region and along with the USA would ‘globalize the world’ which is another way of saying ‘ensure that the super rich will continue to call the shots and become richer’. It was about burying all vestiges of sovereignty and not just that of Sri Lanka. As we said, our leaders have coughed up bits and pieces of sovereignty for decades, either for reasons of personal gain or because of ignorance, timidity and a marked reluctance to trust the people. We’ve had outright invasion by the Europeans, retention through proxy post-1948, India playing schoolyard bully, the slick maneuvering through the Bretten Woods institutions and we’ve had democracy, that cost-effective anesthetic that lulls into complacency through the inducing of myopia. The Colombo International Financial City Law may not facilitate guns-in-booty-out operations, but it could be a coughing up of sovereignty that’s unique in character and possibly of unprecedented proportion. Let’s see the document. Kabir Hashim, sir, will you oblige? Prime Minister Ranil Wickremesinghe, sir, can we see the draft?